Juicing Vs Blending, and A Giveaway! One of the things I have always wondered about when looking at kitchen gadgets, is which is better, a juicer or a blender? Do we really need both? What are the differences? What is in common? However, I have never come across any articles at the store that point out their differences side by side. What store would want to do that anyways, because if you are confused about which one you need, chances are you will buy both. But how about we figure it out, so you know what you need to get and to get the most out of your gadget. 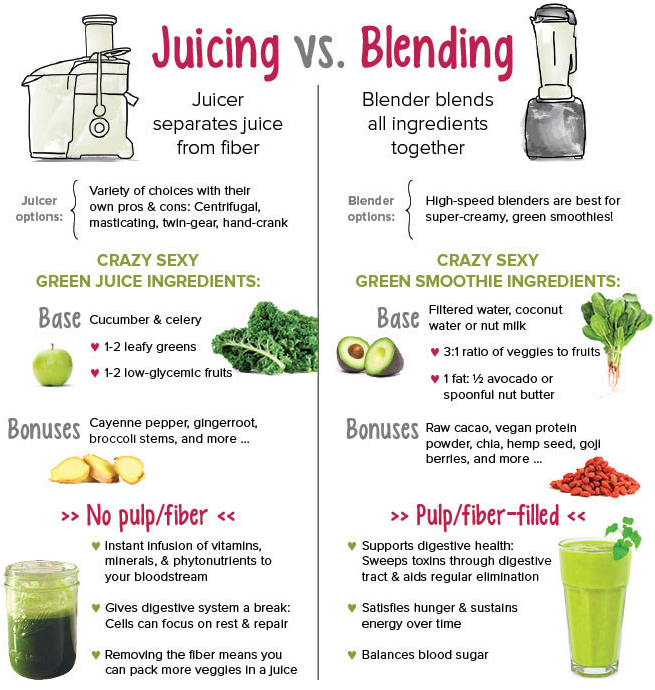 However nifty the chart is though, that merely scratches the surface of juicing vs blending. To really look at it more in depth, let's look at a list of the pro's and con's of each. · Requires more produce for the finished product, which means needing more refrigerator space and a bigger budget at the grocery store. · May be difficult to do if you are diabetic, as certain juicing recipes, like those containing carrots, can cause a quick spike in blood sugar. · May cause discomfort if doing a juice fast due to detoxifying quickly. · You can add more than just fruits and veggies- things like nuts, seeds, oil, protein powders, etc. that add vital nutrients. · Keeping the fiber of the things you are blending helps you feel full longer, and can help you eat less. · Blenders often cost less than juicers and are easier to clean. · Usually have blending ingredients in your fridge and freezer. No need for extra space in your fridge or your budget. 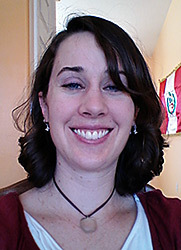 · Less able to get all the nutrients out of your food compared to juicing. The fiber in a smoothie makes it harder for our body to get to all of the nutrients of the food. · Some foods, especially root veggies like carrots, are full of nutrition, but don't taste good in a smoothie and really need a juicer to get the most out of these foods. · Harder to do a detox diet. 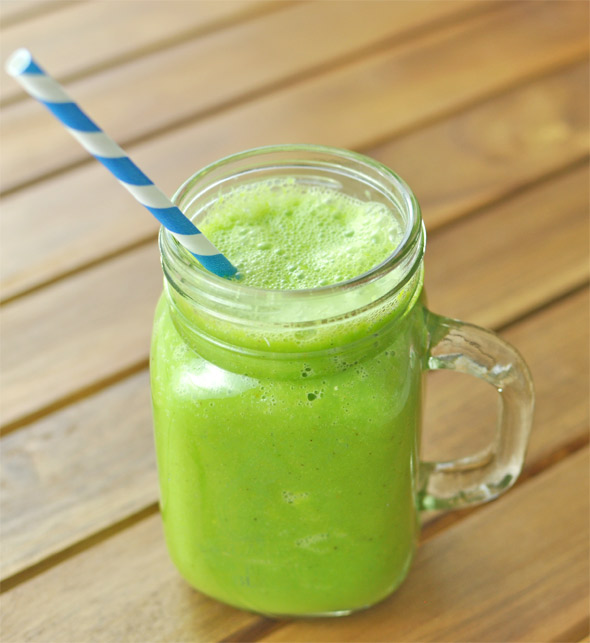 Because our bodies have to take energy away from detoxifying our body to go and digest the fiber that comes in a smoothie, it will take a lot longer to achieve the same results as a juice fast. Now that we have looked at both juicing and blending in depth, I thought it would be helpful to share some of the resources that Cook'n has to offer to help you with your juicing/blending goals. And we are really sharing, as we are having a GIVE-AWAY of either The Ultimate Juicing Cookbook or one of our Smoothies book!!! To enter, simply put in a comment below of what cookbook you would like below and soon this drink could be yours to make!!! YUM!